When someone you know has lost their job, it can be both helpful and supportive for you to offer your condolences, as well as any assistance you might be able to provide during the pending changes in their career. Acknowledging their loss doesn’t need to be awkward. In today’s economy, the stigma of job loss is much less than it was a few generations ago, simply because so many companies – both venture and established – have folded. While it was common for early baby boomers to remain in the same job for their entire careers, the changeable economy over the last decade has created a new employment model where people expect to change jobs every four years or so. This doesn’t mean that losing one’s job doesn’t sting – it does, especially if it was unanticipated. However, being forced to refocus one’s career trajectory can ultimately be a positive step, leading to new and better professional opportunities. Good condolence letters should strike a balance between sympathy for the job loss and optimism for the future. While you should acknowledge the stress the recipient is under, it’s also important to be encouraging and express your belief that things happen for a reason and exciting new opportunities lie ahead. In order to maintain a positive tone, you don’t need to address the cause of their termination when you offer your support – that’s in the past. Instead, focus on encouragement and on offering practical assistance, with an eye on the future. Here are examples of job loss condolence email messages to send when someone has been fired or terminated from employment. Also see below for tips on what - and what not - to include in your email. Jane Doe informed me that your employment at XYZ Company was terminated. It is very unfortunate news, and I wanted to see how I could help you during this difficult transition. If you're available for lunch this week, I'd welcome the opportunity to chat with you to see how I can help as you begin the next phase of your career. I am available via phone in the evening or email anytime as well. I was recently informed that you are no longer employed at ABC Enterprises. I am sorry to hear that you will be leaving the company. If you need any assistance, there are several people that I can put you in touch with regarding open positions at some companies I think you would be a good fit for. I’d be delighted to meet for coffee to discuss or feel free to contact me via phone or email. Jim Smith let me know this morning that you will no longer be working at ABC Company. It is unexpected news, and I’m so sorry to hear it. If I can be of any assistance as you go through this transition, please let me know. I’m available anytime via phone or email. You have my best wishes as you move into the next phase of your career. 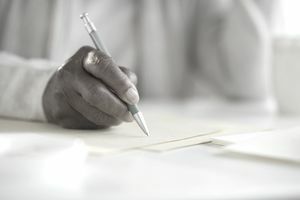 When writing a job loss condolence letter, you don’t need to address how the person lost their job. The important thing is to offer your support during a difficult time, and also to let them know that you are available for any help they might need. Depending on your position and relationship, you can offer assistance in a variety of ways. You may want to spell these ways out in your letter, or be brief and just let them contact you when they are ready. Keep your tone positive and upbeat. Regardless of the reasons for their job loss, it’s a difficult thing to go through.